The madcap team are bringing their unique take on the classic dabba fest that is … B-I-N-G-O!!! #BingoBoogie - The new housey revolution!!! Think #MadPrizes#CashPrizes #ConfettiCannons #SpaceRaiders #Buckfast and a crazy night of partying!! Music Policy: An eclectic cheese fest of 90’s & 00’s pop, dance & guilty pleasures!!! 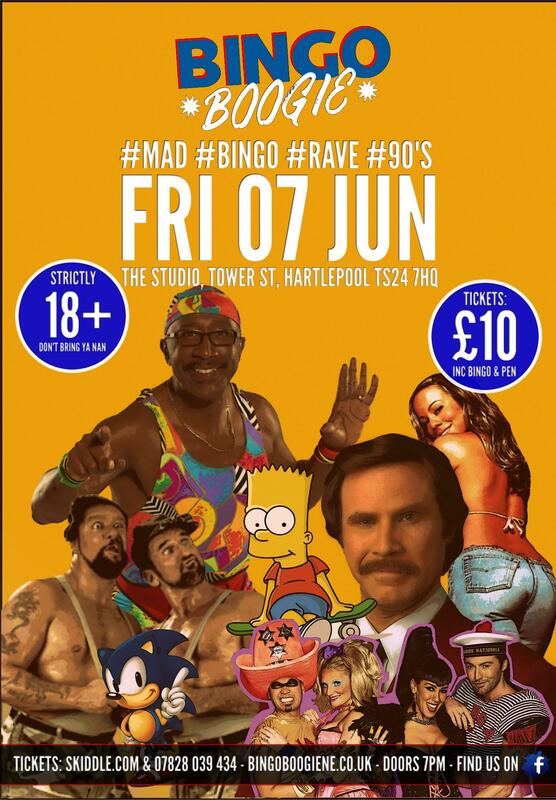 Tickets: £10 (Include Bingo & Dabber) – available from skiddle.com & on the door!! !